Every once in a while I read a book that captures my attention for about a month or two. Ever come across a book like that? The Shack falls into that category for me. Then, even better, I will read a book that captures my attention for a year or two (maybe even longer?). This has been the case for Dallas Willard’s book Hearing God: Developing a Conversational Relationship with God. This has been a very meaningful book to me in that it has opened my eyes to just how conversational our God is. It has me expecting clear communication from God. 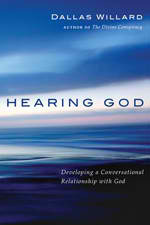 As the title suggests, this book is about hearing from God. Even more, it’s about developing a conversational relationship with God where you speak to Him and He speaks to you. Do you think something like that is possible? Hearing from God is intended to draw us into a relationship with Him. 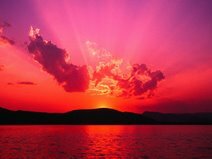 This whole hearing from God thing is to be sought as part of a life that is in a relationship with His Son Jesus. This is the whole, “Behold, I stand at the door and knock. If anyone hears my voice and opens the door, I will come in to him and eat with him, and he with me” from Revelation 3:20. It’s about fellowship with Jesus. Real fellowship involves conversation. If you enter into a relationship with Jesus you will hear Him speak to you. Think about that. Hearing from God doesn’t automatically make us right with Him or right. Just because God speaks to us it doesn’t mean we are special. There is a certain amount of humility involved in our relationship with God. Also, because we have a fallen nature we may misinterpret God’s voice and what it is He’s asking us to do. What do you think about these guidelines for hearing from God?